Irrigation modernisation is ramping up into high gear and there are some serious choices to be made. Irrigators must soon decide how they will be connected to the backbone as Goulburn-Murray Water works on reducing channel length by thousands of kilometres. While the first stage of modernisation has reconfigured many irrigation channels and outlets, those farmers who haven’t reached agreements will be required to negotiate with G-MW within the next 18 months. G-MW connections manager George Warne said connecting agricultural businesses to the backbone was a priority. Small stock and domestic supply customers around northern Victorian towns and cities will also have to work out how their supply can be delivered. G-MW is planning to reduce the 6300 km of channels to 3500 km. More than 500 agreements have already been reached under the former NVIRP project. Now G-MWhas set itself the target of consulting with customers on about 6000 properties. While some negotiations were abandoned when agreements couldn’t be reached, G-MW now has a target of concluding preliminary negotiations in 180 small groups by June 2014. And this time it is carrying a big stick. Under the Water Act approved by Water Minister Peter Walsh, when negotiations are exhausted and no agreement likely, G-MW can compulsorily reconfigure supply. ■ See the full story and farmers’ responses in Water Talk today. NONE of the six scientists chosen to implement economic, social and scientific aspects of the Murray Darling Basin Plan are from the region, infuriating irrigators and regional representatives. All the members of the advisory committee are academics based in capital cities. The Australian Financial Review has obtained the list of appointees. Nationals senator and Coalition spokesman on water, Barnaby Joyce, said the failure to appoint any locals was an attempt to control the debate about the impact that the removal of 2750 gigalitres of water would have on the basin. "This is just Labor 'tick the box empathy'," he said. "We are afflicted by the prophets who ride over the range and tell us how to run our lives. "The basin is home to more than 2 million people and they couldn't find one for this committee." The six appointees work in the fields of ecology and environmental science. They are professors Poh-Ling Tan, Tom Kompas, Kate Auty, Dr Bill Young, Professor Stuart Bunn and Dr Brian Walker, who will chair the committee. "This appointment underscores why regional communities have no faith in the MDBA [Murray Darling Basin Authority]," NSW irrigators Council chief executive Andrew Gregson said. "It shows 'localism' was an empty promise at best and a complete fabrication at worst. 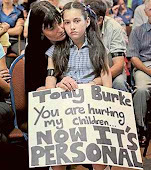 "If [Environment Minister] Tony Burke has an ounce of credibility he will step in on the absurdity." Basin authority chief executive Rhondda Dickson said: "We believe that this group is best placed to provide the authority with the strategic advice on scientific issues over the coming years." An MDBA spokeswoman said the committee was not meant to be representative of the basin or of specific institutions, but of "the key scientific disciplines". Macquarie River Food and Fibre executive officer Susan Madden said the appointments "are probably more about the skill and experience rather than where they live". "However, I do think these appointments are symptomatic of the fact that the environment seems to have outweighed the social needs." Murray Irrigation general manager Anthony Couroupis said many potential local candidates were dissuaded from nominating because they were frustrated by the authority's approach. "These appointments seem academic and so I think we will get an academic approach to the social economic issues." The Murray-Darling Basin Plan may now be law, but that doesn't mean that arguments over water and funding in the Murray-Darling are over just yet. The Basin state water ministers met with their federal counterpart Tony Burke on Friday to discuss how the new Plan will be implemented, and who should pay for it. The communique released after the ministerial council noted that "a number of substantial issues are still to be resolved" before the Basin states are prepared to sign up to an intergovernmental agreement on enacting the Plan. NSW and Queensland, in particular, want guarantees that the Commonwealth will cover the implementation costs, saying the Plan is a national reform and should be paid for by the national government. They're also angry that South Australia will receive $85 million to help communities adjust to a future with less water, while the upstream states will have to share $100 million. It's expected the Basin Plan will be one item on the agenda when the Prime Minister and premiers gather for the Council of Australian Governments (COAG) this Friday. The Murray-Darling Basin Plan has been signed into federal law, but now the states have to agree to implement it. The South Australian Government wants to sign up, but eastern states aren't as forthcoming. SA Water Minister Paul Caica says Victoria is the main sticking point. "Our offices and indeed all state offices where working as late as last evening on those issues that have been raised by Victoria to see whether or not we can reach a resolution." As part of the irrigation upgrade, Daryl Riley had a leaky channel filled in and now uses it as a laneway. Irrigation upgrades on Daryl Riley’s Cohuna dairy farm were finished in the nick of time— his perennial pastures were starting to dry out. Mr Riley, who milks 150 cows, said since the manual pipe and riser irrigation system was completed about six weeks ago, it had saved him time and labour. ‘‘ Now I have more days off water than before,’’ he said. Mr Riley has had the farm for 13 years ‘‘. . . 10 of which have been drought years’’. About 69 ha of the 77 ha farm is under irrigation. The irrigation system on 61 ha was upgraded with a G&M Poly Irrigation pipe and riser system. About 10 ha remains under flood irrigation. Mr Riley said Northern Victoria Irrigation Renewal Project funding came to about 60 per cent of the total upgrade’s cost. Besides securing funding, the other major challenge was getting approval to run pipe under a dirt road. ‘‘ It took three years to get approval,’’ he said. The dairy farmer is still learning which outlets to open and how to get into the best watering rotation. ‘‘ I can do more watering in 15 hours than I previously did in 36 hours,’’ he said. Mr Riley said he watered about 12 ha at a time, depending on the paddock. ‘‘ The beauty of it is now when I want turn it on, water is available for the bays I want to irrigate because I only have one channel that has a motorised pump and I no longer have to wait for a channel to fill. He said it previously took between six and eight hours for the channels to fill. Another advantage of the upgrade was no longer needing to use the leaky channel, which Mr Riley had tried to have repaired multiple times. He said with the new system, he could order between 3 Ml and 16 Ml a day, whereas his old system had one wheel that could use 8 Ml and others that could use 4 Ml and 6 Ml. ‘‘ The water goes on and goes off faster. Mr Riley said his watering rotation was definitely quicker, but it was too early to tell its impact on pasture growth. A storm is brewing for those who have made no arrangements about connecting to a backbone channel. Crunch time is coming for thousands of GoulburnMurray Water irrigators. Just about every irrigator will soon be asked to decide how they want to connect to the backbone channels under food bowl modernisation. G-MW has begun a massive consultation program— targeting 180 areas which each have about 40 customers— under its connections program. Each area will be asked to set up a consultation committee called a landholder steering committee to discuss options for connections. While G-MW expects the great majority to remain connected, some irrigators will have to make some tough choices: revert to dryland farming with only a stock and domestic supply; buy another property closer to the backbone; or exit farming. Many will have to consider monetary offers around how G-MW continues delivery to their property. G-MW has about $650 million to help irrigators connect more efficiently to the backbone. Doug Cobbledick is one farmer worried about his future access to irrigation water. He has about 120 ha for a beef farming enterprise in the Yalca district. ‘‘ I’m about 4 km from the backbone and they want to dry me off,’’ Mr Cobbledick said. ‘‘ They’re talking about compensation but so far it hasn’t been worthwhile. He attended a recent G-MW meeting with other farmers in his area. Jason Lummis, who was at the meeting, said he couldn’t see how it was going to work with his farm. He said his business was on hold until he could work out how he would be connected. Irrigator Max Baker has looked at the three options considered by the G-MW board for his area and can see how he will continue to have access to water. Now he just wants them to get on with the job and lift the cloud from the area. ‘‘ I’m optimistic I will get connected,’’ Mr Baker said. ‘‘ I’m fairly positive towards the whole thing, but at the moment I see us being devalued because we can’t tell people if we are connected or not. He noted his area had an average usage of about 130 per cent of allocations, which proved there were many serious farmers there. Farmers Mike Deacon and Robyne Blee have welcomed the next stage of modernisation and urge farmers to work with G-MW to achieve a more efficient system. The water authority’s connections manager George Warne said many farmers were facing some tough decisions, particularly those with small-holdings some distance from the backbone. ‘‘ Our first priority is to connect agricultural businesses to the backbone,’’ Mr Warne said. He said there were multiple options available which G-MW would assist farmers to implement. But when all options were exhausted and no agreement could be reached, he said G-MW had powers of compulsory configuration. Mr Warne said it was hoped that negotiations with all 180 groups would be completed by the middle of 2014. Many customers who get their water from a G-MW channel and have hobby farms or mainly residential properties have to consider piping in a shared arrangement, dubbed the ‘‘ poly pipe’’ solution. G-MW has indicated there may not be as many options available for non-farm properties as it concentrated its energies on agriculture. It was headed ‘‘final communique’’. But the 1665-word tome issued after the basin ministers met in Canberra on Friday highlighted just how far the fine detail of Murray-Darling Basin Plan has to go. While conceding ‘‘a number of substantial issues are still to be resolved’’, by page three Federal Water Minister Tony Burke and his state counterparts began to cut to the chase. ■ Collaboration to manage environmental water as well as ways to ensure that the rights associated with entitlements for environmental use will not be diminished over time. ■ Joint government arrangements to support the SDL adjustment mechanism. The ministers said they ‘‘acknowledged the constructive role played by industry and environmental organisations, local government and the wider community in the process of developing the basin plan’’. National Irrigators Council chief executive Tom Chesson conceded on Friday that now the basin plan had been accepted it was likely to drop off the radar. ‘‘With the media and political attention already waning, it will become increasingly difficult for community concerns with the implementation of the basin plan to be heard and acted upon,’’ Mr Chesson said. He believes the Ministerial Council should canvas whether Murray-Darling Basin Authority is delivering services as efficiently as possible and whether some of its functions can be contracted out. ‘‘Scientists don’t come cheap and taxpayers should brace themselves because there are still plenty of ‘known unknowns’ in the basin plan,’’ he said. ‘‘For example just metering and monitoring the use of environmental water to ensure that the billions of dollars of taxpayers’ funds invested in the basin plan are not being wasted will cost millions of dollars per annum. ‘‘We do not want to be in a situation where governments are announcing another ‘historic’ reform of the MDB in a few years’ time because the implementation of this ‘historic’ basin plan was illthought out and under-resourced,’’ he said. the Strategic Connection Plan meeting at Numurkah Golf Club on November 23, 2012. ‘‘ update’’ of the plans for our area. There are some important things that need to be taken into account. First, Goulburn-Murray Water is not ‘‘ the enemy’’, but shows it wishes to work with local farmers to ensure that an efficient costeffective irrigation system is available to those who use irrigation water productively. G-MW needs to have customers, and ensuring the viability of those customers is of utmost importance. It is interesting to note that its infrastructure and staffing has been reduced in order to be more effective. Much time and effort has been put into the background information showing the usage breakdown in each area, allowing G-MW to assess the future requirements and productiveness in those areas. Priority can now be given to those who really do use irrigation to its best effect, and therefore need certainty of supply at reasonable cost. Our current system is outdated, awkward and expensive, and while it is important to remember how it was set up and used 100 or 60 and even 20 years ago, we now have a golden opportunity to bring this part of our farming into the 21st Century, and at little or no cost to ourselves. Our livestock, pasture, and farm management practices have certainly changed from those early days, and upgrading our irrigation is another form of productivity improvement— essential in today’s business operation of a farm. Unfortunately there will be some who will be disadvantaged by the proposed changes, however it was made quite clear that discussion, negotiation and agreement with individual— and groups of— landholders is the first and most effective way of moving forward. There are various proposals to be put to each, and funds are available to ensure relative work can be done, or compensation made. While there was some concern that G-MW has the power to override any who will not agree to the proposals, it was quite clear that it would only be used as a last resort in order to not disadvantage other parties who are in agreement. Concerns about the reduced valuation of properties will be overcome with decisions and planning in place, and that in itself will increase values in the whole area due to the stability that will come with it. Following the meeting, we are now gaining some certainty in the future, with timelines in place to ensure developments really will happen. While no decisions have yet been made, it seems that we will now be able to ‘‘ flow forward‘‘ rather than ‘‘ treading water’’. G-MW will continue to provide stock and domestic water. A REGIONAL politician has kept her promise of opposing the Murray-Darling Basin Plan's adoption to law, going against the views of her political party to support the community's concerns. Dr Stone, a former Minister in the Howard Government, seconded a motion - moved during the final parliamentary sitting for 2012 - disallowing the plan that advocates the reallocation of 2750 gigalitres of water annually from community and agricultural use for environmental needs. "This plan is cynical, it is crude, it is unscientific, it is just a political instrument," Federal Member for Murray, Sharman Stone told the House of Representatives. Dr Stone, alongside Coalition colleagues Michael McCormack and Alby Schultz, went against their political peers to oppose the plan. "The does not address the social, economic and environmental outcomes that are needed - and that was not so hard to do," she said in parliament. Although receiving the support of Greens representative, Adam Bandt and Independent member Bob Katter, the motion was defeated 95-5. "I am not going to be silent. With the member for Riverina (Mr McCormack) I am going to speak up for my electorate," Dr Stone said. "I know this vote will be lost, but I am going to take a stand, a principled stand, because I am the member for Murray and - in the tradition of my predecessor the great Sir John McEwen, who would have said the same things at similar times; he was a great country man - I am going to stand up and say 'no', and I am going to try, having said 'no', when we are in government, to start again." 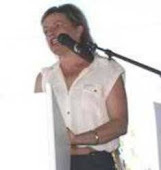 During a 15-minute speech outlining her views on the issue, Dr Stone said the plan was developed following negotiations between Labor and the Greens to ensure the formation of the minority government in 2010. "Let us get sensible and real about this plan. This plan is not about rescuing environmental flows to match the circumstances of the entire Murray-Darling Basin. This plan is about is taking water from the food producers and fibre producers in the biggest fertile crescent in Australia - after all, let us face it: they are all coalition seats, and putting it into this very big Environmental Water Holder bucket and then boasting about it in metropolitan Australia," she said. "This plan is cynical, it is crude, it is unscientific, it is just a political instrument and I am not going to simply wave it past. I am not going to just stay silent and say, 'Well, I really hope the Coalition wins the next election because then we can do something about it,' because my electorate is suffering right now. We actually have stranded assets right now. We have people with dried-off farms who cannot sell their dried-off farms who are in despair. We have those who are paying more for their water because they are the only ones who are left. We have lost factories. We have lost jobs." The National Irrigators' Council welcomed the move by Dr Stone and other politicians to oppose the plan in parliament.Federal Member for Mallee, John Forrest was not in the chamber when voting occurred. "The river doesn't care how water is recovered and capping water buy-backs in legislation will go a long way to delivering a better basin plan," NIC chief executive officer, Tom Chesson said prior to the vote occurring last week. The plan is still to pass through the Senate, with a second reading scheduled when parliament resumes in February. VICTORIAN irrigators are worried about the impact taking a further 450GL out of the Murray-Darling Basin will have on basin communities. The Federal Government's basin plan said 2750GL would be returned to the environment. But amendments moved by the Government last week state an extra 450GL would be recovered, or a total of 3200GL. The original bill stated "up to 450GL" would be removed via $1.77 billion to produce on-farm efficiencies. But Environment Minister Tony Burke said his position was always to "provide money for the 450GL". Victorian Farmers Federation president Peter Tuohey said basin communities were concerned about the extra water now being "locked in" for the environment and the "socio-economic impacts". Meanwhile, basin councils say the Commonwealth's $100 million package to diversify regional economies was "too little and too late". The MDB has 162 councils so if this money was split equally, it would be just $617,283 apiece. Mayors say the economic damage caused by water buybacks was already severe. The devastated Merbein irrigation district has lost 45 per cent of its irrigation water to Commonwealth buybacks and the impact has been just as great at neighbouring Red Cliffs. Swan Hill Mayor Les McPhee said it would be difficult for individual councils to win a project that would make a lasting difference. "A regional project might be able to get up," Cr McPhee said, such as the extension of a natural gas pipeline into north-west Victoria, already the subject of a Victorian Government study. Balranald Mayor Steve O'Halloran said the $100 million wouldn't come close to fixing the damage already done to regional economies. But Deniliquin Council Mayor Lindsay Renwick said "we will survive with the plan, as long as they don't change the goal posts again". Nationals Senator Barnaby Joyce last week defended Coalition support of the plan, despite Nationals Riverina MP Michael McCormack and Liberal Murray MP Sharman Stone moving an unsuccessful disallowance motion against it. He said the plan was "vastly better" for regional communities than if the Greens had negotiated a deal. The Victorian Farmers Federation is calling on GoulburnMurray Water to better inform irrigators on the delivery and works schedule of its $2.2 billion Connections Project (formally Northern Victoria Irrigation Renewal Project). ‘‘The VFF understands that since NVIRP was merged with G-MW there has been substantial changes in the management and of the Connections Program,’’ federation president Peter Tuohey said. ‘‘But there’s been insufficient information go to irrigators on re-connection deals and timelines. He said the federation wanted to ensure irrigators were treated fairly and given all the assistance they needed under the connections program. ‘‘Delays by G-MW on getting back to irrigators on reconnection deals creates uncertainty and delays business decisions on the farm,’’ he said. ● Give landowners, within a strategic connection area, plenty of notice of meetings to discuss the project and reconnection plans. Murray Darling Basin Authority (MDBA) Chairman Craig Knowles has stated that ‘local communities will determine the best fit for the (Murray Darling Basin) Plan for local outcomes’. He, the Authority and the Gillard Government have all come under fire for not listening to the concerns of locals in the Murray Electorate, by pushing ahead with a plan for the Basin that has robbed them of income providing irrigation water and now threatens to flood them every 2.5 years artificially. Now, the news is the Murray Darling Basin Authority Advisory Committee on Social, Economic and Environmental Sciences has no representatives from Murray. In fact, not one of them lives in the Murray Darling Basin at all. Federal Member for Murray Dr Sharman Stone says the MDBA has demonstrated a new level of incompetence. “By the MDBA’s own description, ‘the Committee members will be called on to provide strategic advice on science and knowledge to underpin the implementation of an adaptive Basin Plan’. How this can be achieved by outsiders to the Basin is a complete mystery” Dr Stone said. “The Basin Plan consultation period was seen by many locals as a farce. We went from an original sustainable diversion limit (SDL) of water for the environment of 2800GL, down to 2750GL, and now there is a last minute adjustable mechanism to see a rise to 3200GL. “The policy has been driven by the Greens who do not understand catchment management. “Now, we have a committee of people supposedly taking into consideration the social, economic and environmental impacts, even though none of them live in the Basin” Dr Stone said. Sharman Stone, along with one other Member of the Coalition, Michael McCormack, opposed the Plan in an unprecedented attempt to disallow the regulation. “I will not give up on the fight to get a better deal” Sharman Stone said. A DOCUMENTARY which raises questions about the Murray Darling Basin plan and features Deniliquin farmer Louise Burge will air tomorrow night.Correction: The documentary, Muddied Waters, will air at 9.30am tomorrow, not 9.30pm as originally published. While the plan now has the go-ahead from the government with opposition backing, Ms Burge is questioning whether they have got it right. The former independent candidate to the seat of Farrer foresees serious consequences for farmers and communities if 40,000 megalitres of environmental flows are released from the Hume Dam. Ms Burge believes the management of the river needs to be tweaked rather than overhauled and thinks policy-makers should consider drought as an overlooked factor in the drying of the lower lakes in South Australia. “I think a lot of people seriously underestimated the severity of the drought,” she said. Ms Burge said the concerns were not just those of landholders but those who would feel the affect on tourism as river access was disrupted and river beaches were sent underwater. Ms Burge said questions still needed to be asked of the Murray Darling Basin plan. Murray Group of Concerned Communities chair Bruce Simpson says locals are ‘‘at the end of our tether in terms of [university] boffins determining our destiny’’. Murray Group of Concerned Communities chair Bruce Simpson has slammed the government for ignoring ‘‘local wisdom’’ and turning to city-based professors for advice on the Murray-Darling Basin Plan. He says locals are ‘‘at the end of our tether in terms of [university] boffins determining our destiny’’. Federal Shadow Water Minister Barnaby Joyce announced on Wednesday that the Murray-Darling Basin Authority Advisory Committee on Social, Economic and Environmental Sciences does not have a committee member actually from the basin. Of the six people on the committee, only one — Professor Kate Auty — has a basin connection, having served as senior regional magistrate for the Magistrates’ Courts in north east Victoria. The others are reportedly from Canberra and Brisbane. Mr Joyce said Murray-Darling Basin Authority chair Craig Knowles stated himself last October that ‘‘local communities will determine the best fit for the basin plan for local outcomes’’. ‘‘Labor has to reconfigure this committee with genuine basin community locals or it will be deemed to be a committee of highly paid, well-intentioned, highly educated hippies sent over the range to make our lives a misery,’’ he said. Mr Simpson said he ‘‘totally agrees’’. He criticised the government for only valuing university degrees. ‘‘I don’t know if anyone from the regions would have gone to the effort of putting an expression of interest in,’’ he said. ‘‘You had to have a reasonably technical background, whether it be in economic or social science. ‘‘Governments need to accept that you don’t have to have a ‘professor’ before your name or a ‘doctor’. ‘‘You can have a life of experience that is just as valuable. ‘‘The view is that the only way to have wisdom and knowledge is by way of a university degree. ‘‘That is where the world has gone wrong. Mr Simpson said he would be concerned if the committee was made up of ‘‘boffins’’. ‘‘They’re people that are arguably imbalanced in their view, and they’re singular in their view, they’re not collective in their understanding of the issues,’’ he said. 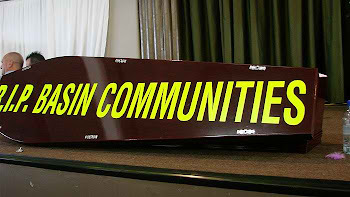 ‘‘The whole process needs to ensure that there is an ongoing connection to the community. Federal Water Minister Tony Burke signed the Murray-Darling Basin Plan into law last month. The plan will divert 2750 gigalitres (GL) of productive water to the environment. Legislation to recover another 450GL has passed the House of Representatives, and is expected to pass the Senate next year. NSW Water Commissioner, David Harriss reminded all water users and irrigators to keep the streams, creeks and rivers flowing. "Modifying the flow in a creek, stream or river with dirt, rocks or gravel to build the water levels up to enhance pumping capabilities has a big impact on downstream water users, stock and domestic users and the health and productivity of the waterway. ""As the weather is hotting up and conditions drying out some landholders can be tempted to impede the stream flow by building low-profile dams or weirs to enhance their ability to pump water,'' Mr Harriss said. "Construction of unauthorised works within NSW waterways is illegal and can have serious consequences. Mr Harriss said this type of activity also impacts on our river and streams monitoring network which provides necessary information for water management. allow the management of flows to meet the needs of the river or consumptive users," he said. policing breaches, and will undertake relevant investigations. at gauging station locations and can easily determine irregularities." Anyone wishing to report suspected illegal activities can do so confidentially, please$247,500 and $66,000 fore each day the offence continues for individuals. Murray Irrigation Limited has accepted a government deal to improve its infrastructure. Murray Irrigation Ltd (MIL) has signed a $169 million deal with the Commonwealth Government. The money is part of the government’s NSW Private Irrigation Infrastructure Operators Program, linked to the Murray-Darling Basin Plan, to make MIL’s infrastructure more efficient. It took MIL close to 12 months to sign off on the deal, and the project will see some channels retired and others reconfigured. Murrumbidgee Irrigation has been offered a similar deal, but Mr Couroupis said MI had not signed as yet due to tax issues. Mr Couroupis said MIL decided to sign despite similar tax concerns; the government originally announced the deal as a $181 million offer, but that was GST inclusive. ‘‘We are confident the changes will be made [to the tax arrangement] that the government has promised, and encourage them to go get on with it,’’ he said. The project will see about 35 farms — or 90km of channel — in the MIL area involved in the retirement, with another 50 farms involved in the reconfiguration. ■Clay lining of channels at five locations. ‘‘We are yet to determine precisely what works will happen where,’’ Mr Couroupis said. The works are due to be finished by the end of 2016. Some of the water saved under the project will go towards the 2750 gigalitres required under the Murray-Darling Basin Plan for environmental purposes. Mr Couroupis could not confirm how much water would be returned, saying ‘‘that information is between MIL and the Commonwealth’’. Murray Group of Concerned Communities (MGCC) chairman Bruce Simpson — who is also deputy chair of the MIL board — said this infrastructure funding was what the community had been calling for ‘‘for a long time’’. Speaking from an MGCC perspective, he said the project would create opportunities for contractors, employment, and positive flow-on effects to support industries such as mechanical repairs and fuel. He also said it would improve output per megalitre. ‘‘It’s a substantial amount of capital coming into the region,’’ he said. Mr Simpson said the local area should receive a level of investment ‘‘equitable with the volume of water we have contributed for the Water For the Future [basin plan program]’’. ‘‘We are a major contributor of water. Mr Simpson said this irrigation area was one of the largest — and arguably one of the best — flood irrigation systems in the world. Southern Riverina Irrigators chairman Ted Hatty says locals must hold the government to account in regards to water recovery. A Federal Government bill to fund the recovery of an extra 450 gigalitres (GL) of environmental water was passed by the House of Representatives last week. The Murray-Darling Basin Plan, which will take 2750GL of productive water for the environment, was signed into law late last month. The extra 450GL is expected to be mainly sourced through on-farm efficiency works. Mr Hatty said ‘‘we need to hold them to account on that point’’. ‘‘Our priority has been [the government] should get their water from infrastructure and efficiencies,’’ he said. However, he warned that even with water sourced through efficiencies, there would still be a ‘‘tipping point’’. ‘‘There is a point where the irrigation districts do become too expensive for the irrigators to use the water. Mr Hatty does not believe 2750GL of environmental water is needed — let alone an extra 450GL. The chairman also welcomed a promise from the NSW Government to put its own cap on water buy-backs in place. Mr Hatty met with NSW Primary Industries Minister Katrina Hodgkinson while she was in Deniliquin last Wednesday. Ms Hodgkinson said she already had the Ministerial Order to cap buy-backs to three per cent per valley per decade drafted. Once implemented, it would remain in place until overridden by the Murray-Darling Basin Plan. ‘‘The Murray-Darling Basin Plan comes into effect in July 2014,’’ she said. Ms Hodgkinson said depending on election results, the NSW Government could then put in legislation to ‘‘reinforce that cap’’. The Federal Coalition has also promised to limit buy-backs if it wins government next year. Federal Opposition Leader Tony Abbott said buy-backs under the basin plan would be capped at 1500GL, and none of the 450GL would be sourced through buy-backs. At the moment, the Federal Government can make water purchases towards the 450GL goal, if they are linked with infrastructure investment. They can also buy-back water to reach 2750GL, if expected water savings from efficiency projects are not realised. It's a landmark document that's had a profound influence on irrigation communities well before it was made law in November 2012. The Murray-Darling Basin Blan, developed after decades of consultation, scientific studies, political bickering and numerous versions, has changed the face of water politics. For most its a case of the glass half full. Neither irrigators nor environmentalists are happy with the plan, and there's still a long way to go before all the water for the environment is delivered. Farming communities and the environment suffered under the brutal drought earlier this century. The environmental crisis that loomed forced the Federal Government to take action to save the river. The Basin Plan names 2,750 gigalitres as the baseline target for the amount of water to be recovered for the Murray-Darling environment. Irrigators and water authorities changed their business approach. Murray Irrigation, based at Deniliquin in the state's south-west, accelerated its strategic plan in 2009. The company delivers water to 1,200 irrigators across 750,000 hectares of dairy, rice, grain, cotton and vegetables. "Unfortuntately there is a large volume of water leaving," says general manager Anthony Couroupis. "Our strategic plan, once implemented, will reduce our footprint, reduce kilometres of channels, reduce our staff numbers and provide an increased reliance on technology." "Behind it all was a decline in water availability, driven by the Basin Plan." For the NSW Murray, the local recovery target is 262 gigalitres, of which 225 gigalitres has been recovered and the rest is under contract. "The Commonwealth has committed itself to a priority on infrastructure water, (rather than water buybacks) which we commend. "Every drop of water you take out has an impact, but if you're going to get it, infrastructure is the best way." So what have communities learnt from the Basin Plan process? Bruce Simpson is from the Murray Group of Concerned Communities - representing around 30,000 people in five local government shires in the central Murray. He says while the plan has accelerated change in the region, water politics has brought communities closer together. "As time has passed by the community has become more connected to water and what it means for their business and their prosperity. "I think... six years later, the community have come to understand that they have to play a part in the policy formation of water. "I think from today on, it's about how we rebuild certainty." The Lachlan Valley in central west New South Wales says it’s a living example of how communities within the Murray Darling Basin could look in the future. 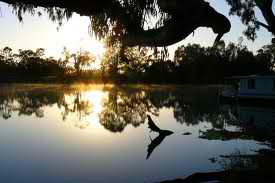 The Lachlan River is unique because vast tracts of water have already been subject to Government buybacks and environmental watering requirements have subsequently been met. Irrigation group Lachlan Valley Water says between July 2008 and June 2010 the Federal Government purchased 83,000 megalitres of water entitlements on the Lachlan. The NSW Government, through Riverbank, also owned 24,000 megalitres by June 2010, however its purchasing took place over a longer period of time, from 2006 onwards. Because the Government now owns 17 per cent of water licences along the river, over 100,000 megalitres that was once available to grow crops is used elsewhere and the sustainable diversion limit of 48 gigalitres has already been returned to the environment. Although the environmental needs of the River are being met it doesn’t necessarily mean farmers use of water is becoming more efficient. Currently 15 farmers along the Lachlan have received funding through the on-farm irrigation efficiency program. Executive officer of Lachlan Valley Water Mary Ewing would like to see more funding, but she knows that with so much water being take out of the region there is less willingness by the government to recover more water from the Lachlan, and saving more water may not be seen as a high priority. "We're concerned about the lack of Government incentives for infrastructure in the area. "The Government has already spent its money on buybacks in this Valley and it feels like it's not prepared to help Lachlan irrigators improve efficiencies." Lachlan Valley Water also notes the fabric of communities along the River is changing. Ms Ewing is concerned for what the future may hold. "At this stage environmental usage is not generating the same economic activity as cropping and livestock." So while the Murray Darling Basin Plan doesn't come into play until 2019, the effects of it are already being felt in the Lachlan. What effect will increased environmental flows have on rivers in the Basin? Dr Glenn Wilson, is a senior research scientist with the Department of Ecosystem Management at the University of New England. The freshwater ecologist has spent the last seven years getting wet and looking at the fish populations within the Basin's northern river systems and, in particular, how dam and river flows affect fish numbers and spawning patterns. "Our river systems are naturally quite variable in their flow conditions. The species are quite adaptive to those variations in flow. Some seasons will have no flow while others, like the season we've just had, will have a number of floods. "We need to understand what sort of releases to make from dams in order to keep the river systems, wetlands, and the flood plains kicking over. The Murray-Darling Basin is proposing to put a larger volume of water back into the environment. That puts more pressure on researchers to understand and provide information on just what flows the river systems or the wetlands need. Dr Wilson is also keen to learn how increased flows will affect fish reproduction. "We need to understand when to release water, how long to release that water, and what sort of velocities to release it in." A rise in fish numbers is expected with the introduction of the Basin plan. "We'd expect to see more fish spawning, more of the smaller species like the rainbow fish, the smelt, and the bait fish type species spawning. "You'd also expect to see greater numbers of the larger species like the yellow belly and bony bream." Dr Wilson says farmers and communities can benefit from a healthier river system. What is happening with federal infrastructure money in NSW? The NSW Water Commissioner David Harriss says NSW would like to receive more of the money allocated for infrastructure upgrades. He says accessing money for on farm projects and on private land has been held back by the demands of the government bureaucracy, but he hopes that is changing. David Harriss says he believes that the all the money allocated by the federal minister for upgrades has now been spent, but he says that despite NSW being home to nearly 50 per cent of the Basin, it has not received anything like half of the money. Out of a total kitty of more than $4 billion, he says $708 million has been spent in NSW and a further $600 million has been allocated to NSW projects. Mr Harriss says he would like to see NSW get the lion's share of the $1.77 billion yet to be allocated for infrastructure upgrades and he fears the money will run out soon. He says he isn't happy with the amount of federal money allocated to NSW and deserves more assistance.